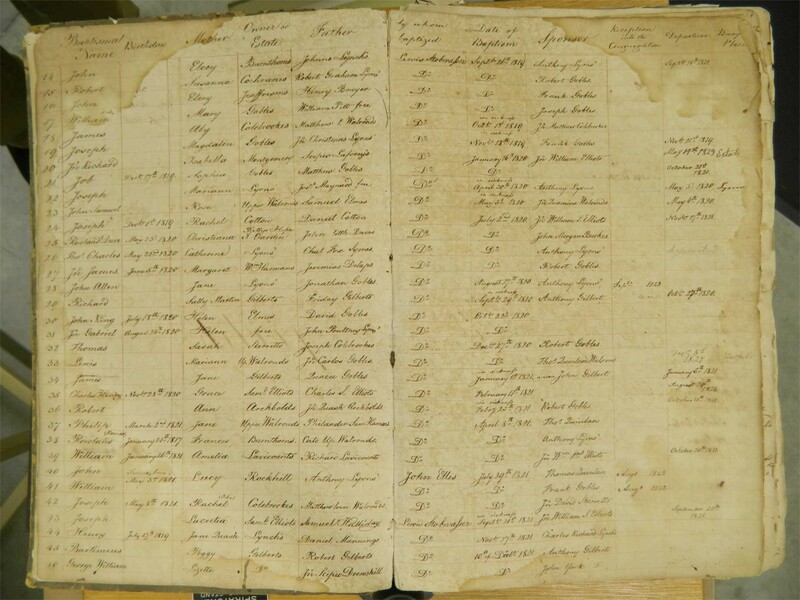 A register documenting the lives of African people enslaved in the Caribbean during the eighteenth century. Image courtesy of the Moravian Archives. With collections of textiles, artworks, maps, administrative records, printed pamphlets, and personal papers, the Moravian Archives documents the history of the Moravian Church in North America as early as 1740. Cumulatively, the archives tell the story not only of the Moravian Church but also of the early American colonies. In recent years, the NEH has helped the Moravian Archives preserve this history. One grant provided for the purchase of storage furniture and materials, increasing the archives’ capacity by 62% and enabling the organization to store its collection of eighteenth-century American art. 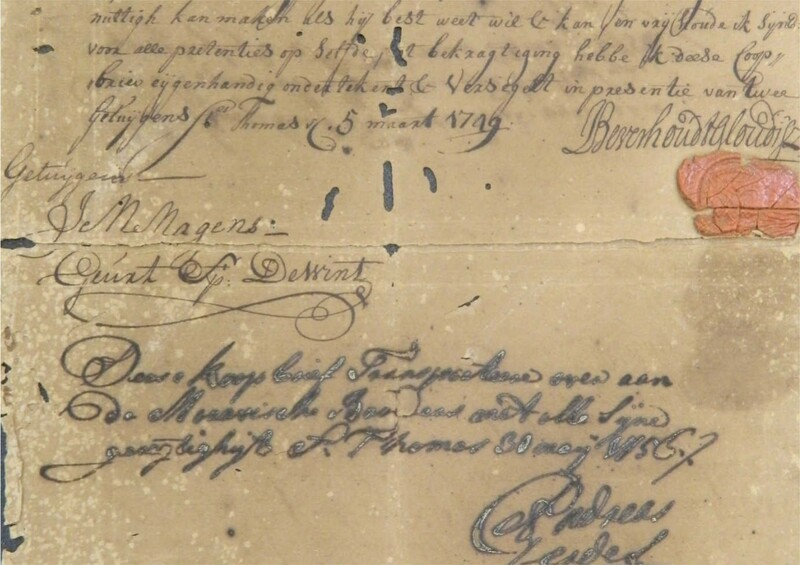 More recently, the NEH enabled the archives to plan for the preservation and digitization of the Eastern West Indies Records, which document two centuries of Moravian missionary work in the Caribbean. NEH funding helps the Moravian Archives preserve historically-significant documents, many of which are too delicate to handle. Image courtesy of the Moravian Archives. With the NEH grant, scholars and conservators assessed the collection, prioritizing the material in terms of its public value and preservation needs. They found that the collection is of profound value: among the documents are registers itemizing the names and home regions of thousands of Africans who were enslaved in the Caribbean during the eighteenth century and whose lives are otherwise lost to history. When the Archives accepted these records in the 1960s, it committed to preserve them and make them available to the public. But because they had been subject to the mold and deterioration caused by humid climates and salt water, the records were deemed too fragile to handle for decades. Now that a high-quality assessment has been completed, the Moravian Archives is preparing to digitize the collection, which will make these records accessible to the many descendants of enslaved people in the Caribbean who are interested in their ancestry, as well as to scholars who are interested in what the documents can reveal about African people in the Caribbean.